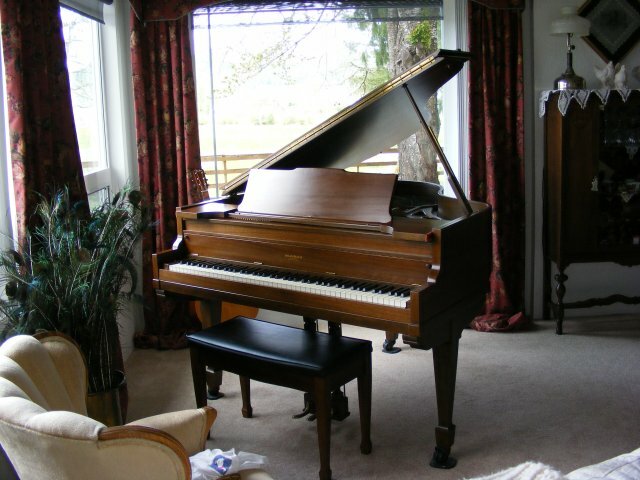 1927 Completly Restored Brambach Baby Grand Piano. 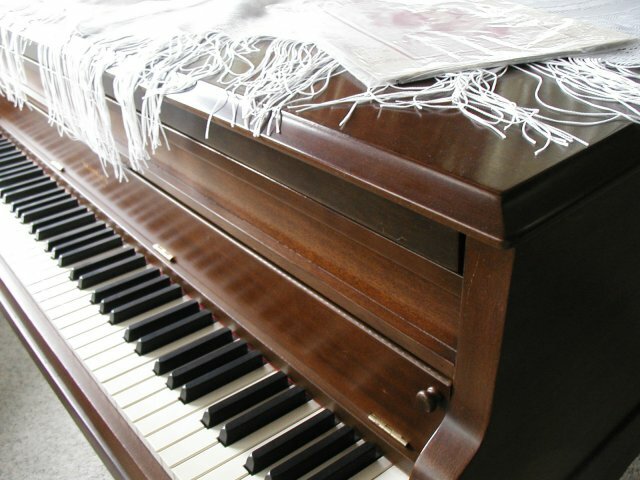 Its Play and Finish are in perfect Condition. 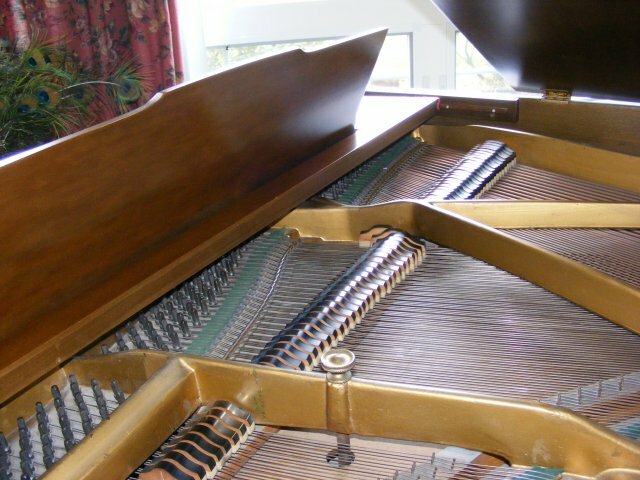 The developments of an instrument so individual in character as the Brambach grand piano present the accumulative existence of many generations; each generation adding to its heritage and pointing the way to further advancement in the art to which this family had been devoted. 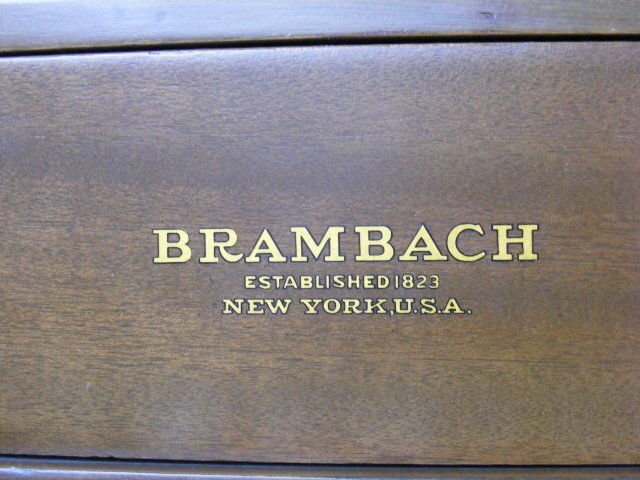 It was, therefore, natural that the products of the Brambach factories were supreme in musical quality and purity of tone. 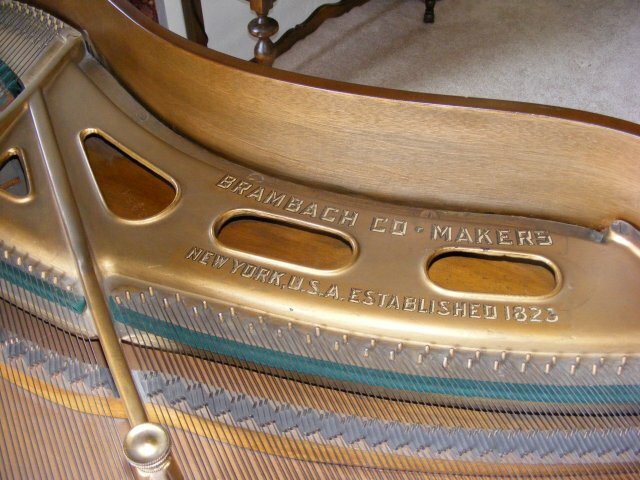 Correctly made, theoretically and mechanically, the grand piano manufactured by the Brambach Piano Co. was the embodiment of artistic grace and individuality of tone. 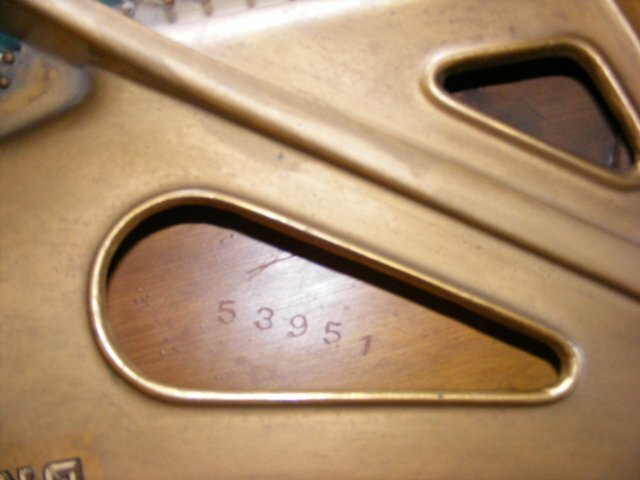 Brambach Baby Grand Piano, Walnut Cabinet, bearing serial number 53951. Manufactured in 1926. In excellent (like new) condition. 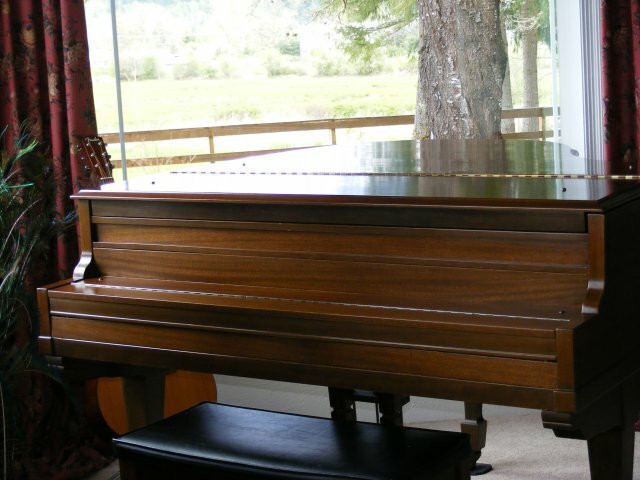 Cabinet professionally refinished. After the color and finish were applied and allowed to dry properly, each coat of new finish was then hand rubbed to gain the optimum sheen and a new decal was applied. Maintained in smoke free residential environment for at least 20 years.